The documentary, The Tsunami and the Cherry Blossom, which has been nominated for an Academy Award this week was shot using a Canon EOS 5D Mark II DSLR. The short film was made by British born Lucy Walker, and documents the aftermath of the earthquake and tsunami that struck Japan in April 2011. It draws its name from the cherry blossom that is said to have inspired those in the hardest hit areas to rebuild. It also features an original soundtrack by Moby, himself a keen photographer. Shot on a Canon EOS 5D Mark II, a prosumer level DSLR camera, it is the latest in a long-line of examples of DSLR technology being employed by professional film-makers. 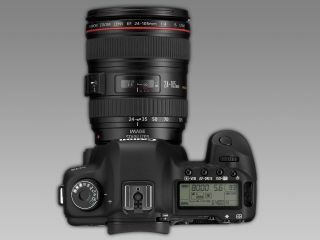 Introduced to the market in 2008, the 5D Mark II is very popular among filmmakers. It features full HD video recording, and was the first Canon camera in the EOS line-up to record video, and was the first DSLR to feature full 1080p HD. As it uses a full-frame sensor, it allows videos to be recorded with a very shallow depth of field, and of course, interchangeable lenses mean different effects can be achieved. However, it does have limitations, for instance, film clips can only be recorded up to 12 minutes in length at full HD. It is widely rumoured that Canon could be about upgrade the camera, with the Canon EOS 5D Mark III, 6D or 5DX, in the next few weeks. This is not the first time Lucy Walker has been nominated for an Oscar, her 2010 film Wasteland, was also nominated. This year's Awards see The Tsunami and the Cherry Tree go up against four other documentary short films, with the winners announced on 26 February.